Yesterday (15-04-2018) we demonstrated alongside the CPG against the NATO bombings in Syria. This is the resolution we submitted to their chief. The Party Organizations of the Greek Communist Party (KKE) in Cyprus, the Greek immigrants and Cypriot workers declare our support for the people of Syria. 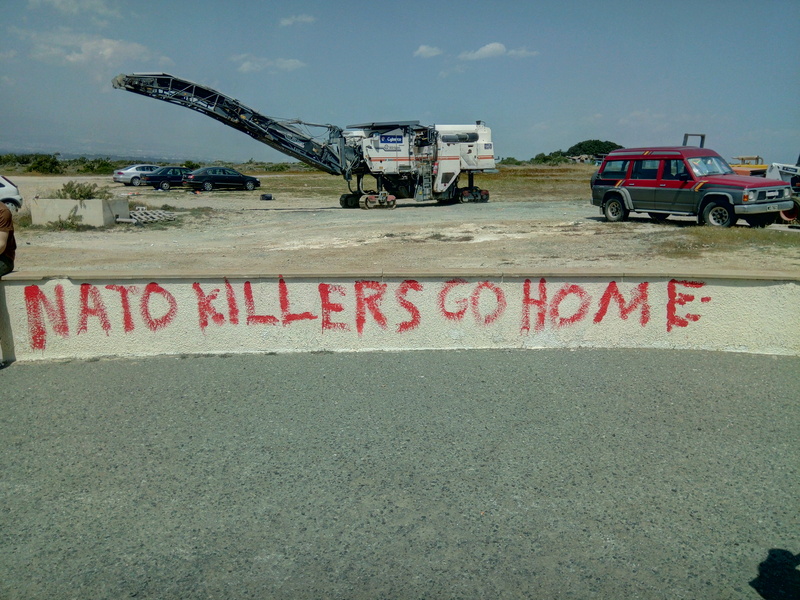 NATO KILLERS GO HOME!! BRITISH KILLERS GO HOME!! NO LAND, NO WATER FOR THE MURDERERS OF THE PEOPLES!! And this is the message we left on their wall….